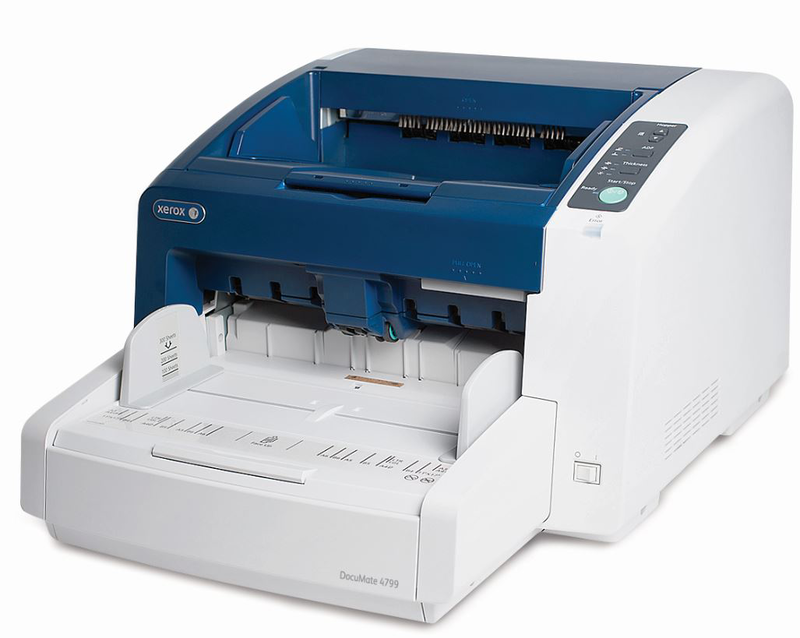 Versatility, high-speed and superior reliability make the Xerox® DocuMate® 4799 a powerful scanner for demanding environments. With up to a 40,000 page per day duty cycle, this innovative workhorse scans up to 112 pages per minute and employs three advanced sensor systems: ultrasonic double feed detection, stapled document detection and intelligent feed control to ensure that your scan job will not get interrupted. More information on the product datasheet (pdf).